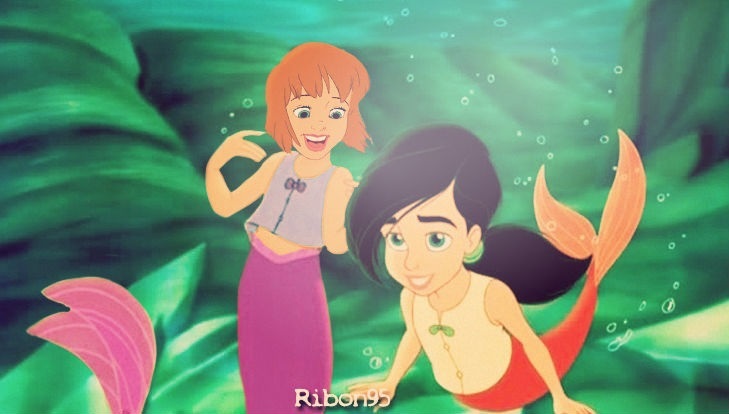 Jane Melody - Under the Sea. . Wallpaper and background images in the disney crossover club tagged: disney crossover melody jane. Will tu be my Valentine, Pocahontas? I say they should go to Neverland to see the mermaids and show them how much more beautiful they are than them. But than again they didn't need to become mermaids to know they're more beautiful than the mermaids, at least now they'll be even more jealous. Anyway I absolutely love this! Jane is such a gorgeous mermaid. As much as I dislike Melody and Jane (Melody for obvious reasons, and Jane because I haven't seen her film in ages), this is very well done! Great job! Aweeesome! Jane looks so beautiful as mermaid. Awesome! Jane is awesome as a mermaid! I think these two would be great BFF's. Love Jane as a mermaid. Really great job. Love it. This is great! They look cute!